Another new feature is the ability to better simulate mechanical plate reverbs. High frequencies travel faster in metal plates than low frequencies, and this effect is called frequency dispersion. 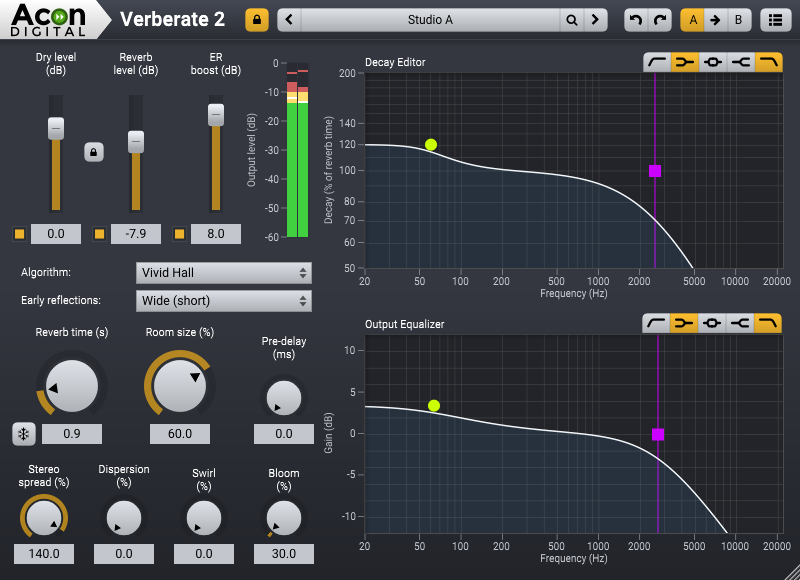 Verberate 2 now has a Dispersion parameter which allows for highly realistic plate reverb simulations when combined with the decay editor to simulate the longer high frequency decay of plate reverbs. A new Swirl parameter makes it possibly to simulate the feedback modulation effect found in many vintage digital reverb units. 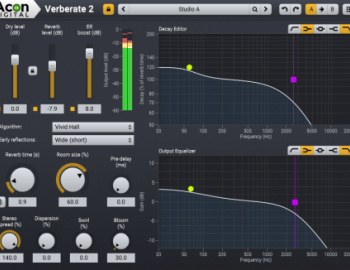 A large catalog of beautiful factory presets is delivered with Verberate 2 and a clear and to-the-point graphical user interface simplifies the search for a specific reverb quality.